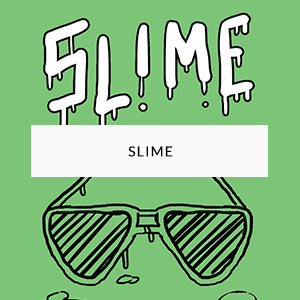 I updated the Slime page on the site today, because the comic is now available at a couple more shops! In addition to Forbidden Planet NYC and Desert Island (Brooklyn), you can pick up Slime at JHU Comics in NYC and Staten Island. 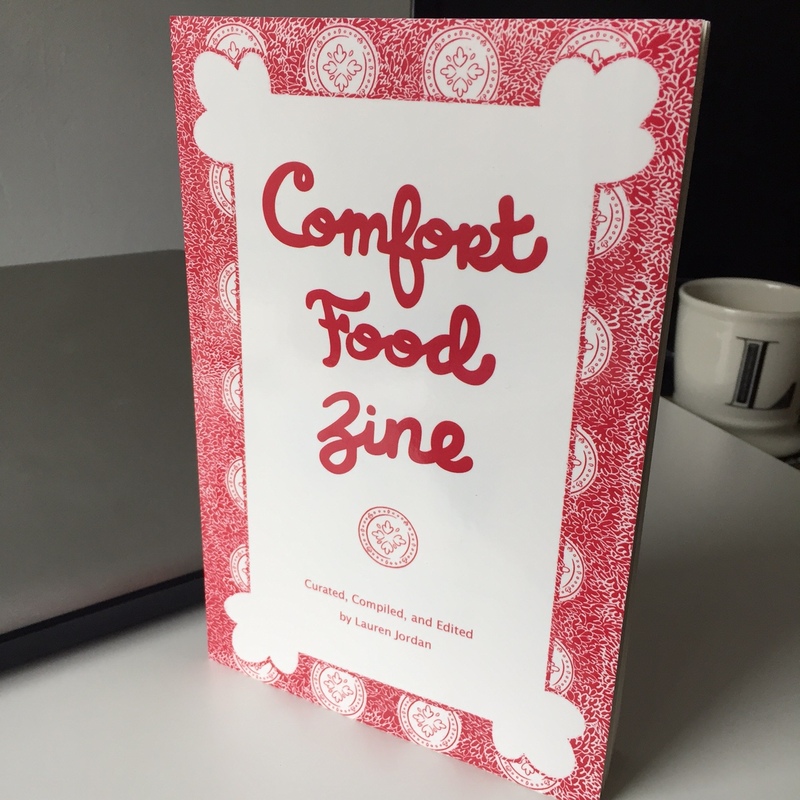 There are under 10 copies left now, so grab it quick, either in person or on the online shop! 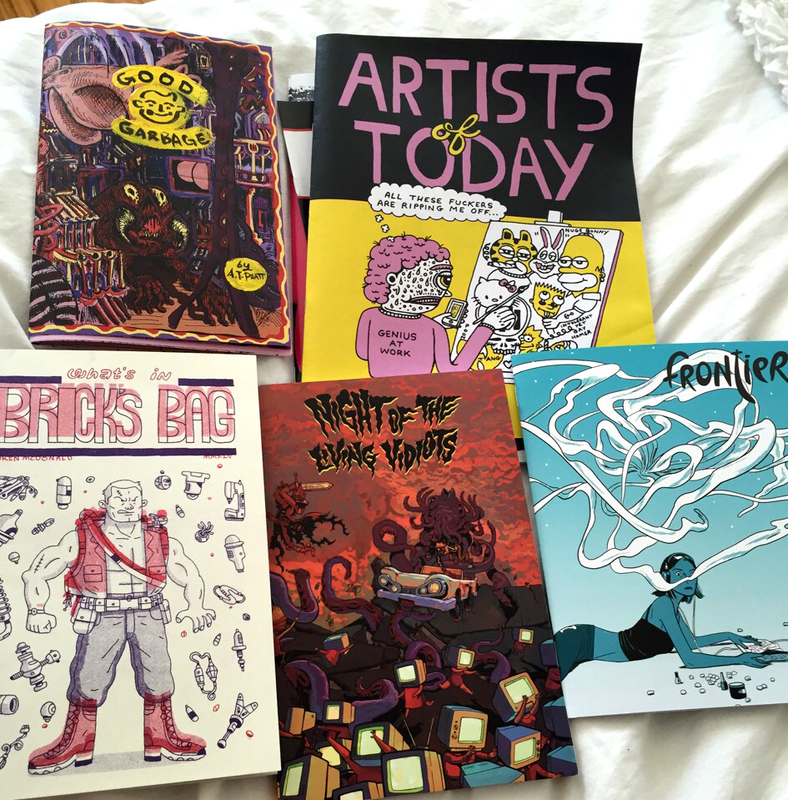 This past weekend was MoCCA Fest in New York, which meant multiple levels of way too many cool comics to buy. I wasn’t able to scratch the surface of what I wanted, but I had a really good time, picked up a few choice comics, and dug the new venue way more than last year’s. Clockwise from top left: A.T. Pratt‘s Good Garbage, Rob Corradetti‘s Artists of Today, Youth in Decline and Jillian Tamaki‘s Frontier #7, Andy Ristaino‘s Night of the Living Vidiots, and Wren McDonald‘s What’s in Brick’s Bag. This past Saturday I hopped over to Brooklyn to check out CAB (Comic Arts Brooklyn), which I had been looking forward to for a while. The day I went is basically just all exhibitors selling stuff, which is the best, because I was able to buy a bunch of new comics and get most of them signed on the spot. I posted a general pic of my haul on Instagram and Twitter and whatnot, but I figured other big nerds like me might want a closer look at some of the stuff I picked up. I really dig Jonny Negron‘s stuff, but the only thing I have of his that isn’t part of an anthology is more of an art book. 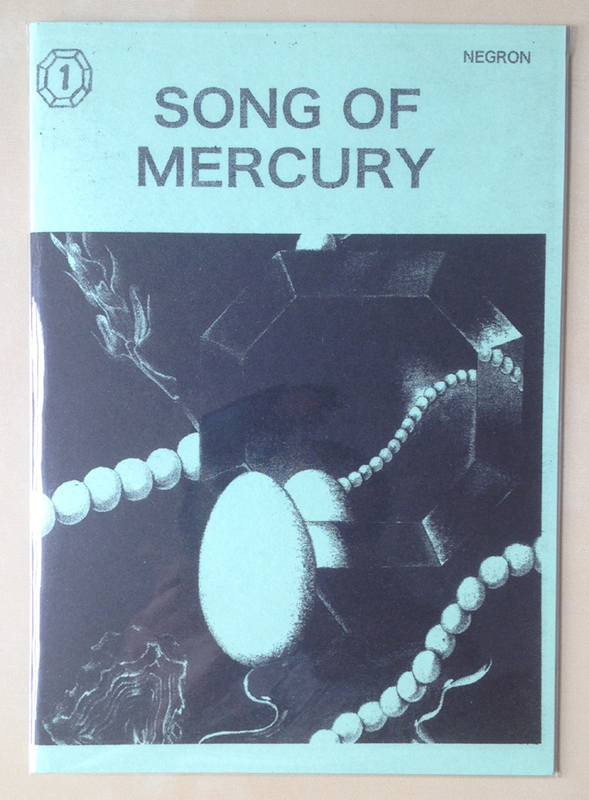 I think his work really explodes in color, but it’s cool to see it in a more lo-fi look, and the way Song of Mercury was printed gives it an ethereal quality that plays nicely with its theme. This is the only one of my new purchases I’ve had a chance to read, so I won’t really be commenting on the content of the others yet. 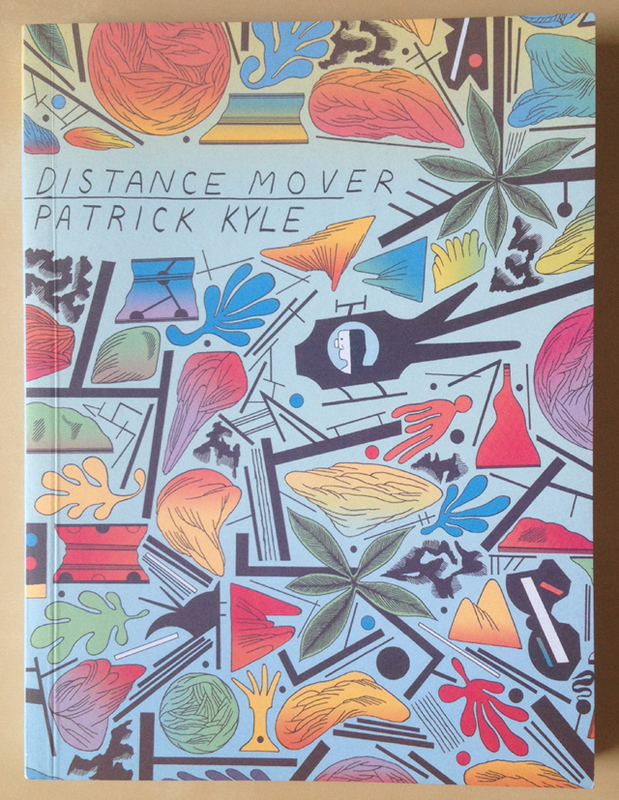 Patrick Kyle‘s Distance Mover has been on my list for a while, and this was a really good time to finally buy it since he was sitting right at the table behind the stack. 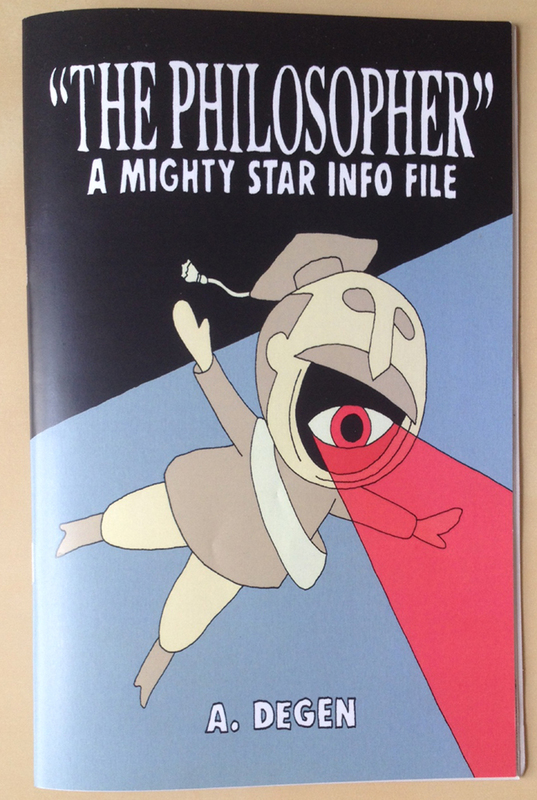 I’m really looking forward to Alex Degen’s Mighty Star and the Castle of the Cancatervater. 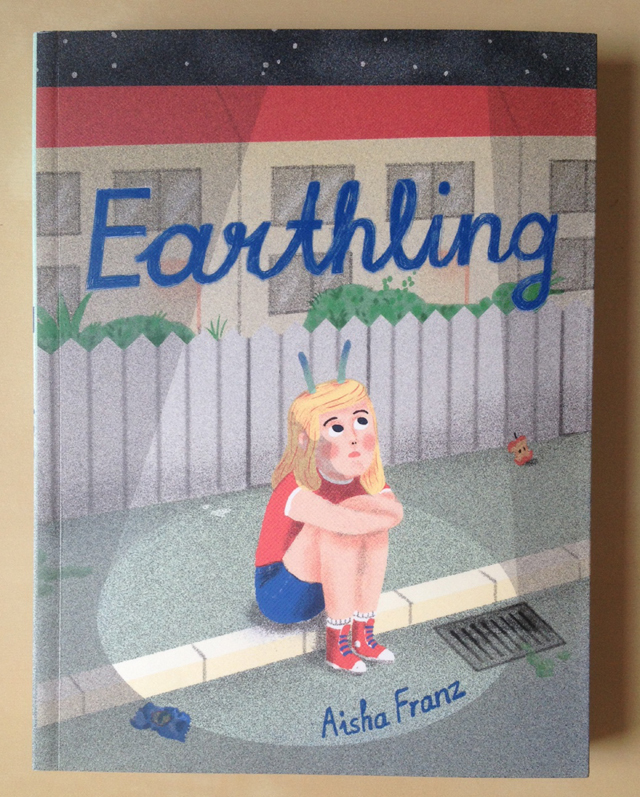 Koyama Press isn’t putting it out until April 2015, though, so thankfully there’s this supplemental comic to tide us over until then. I haven’t read any of Degen’s work yet, but I dig what I’ve seen on his tumblr so far. He was there at the Snakebomb table, too, and was really nice and excited that people were seeking out The Philosopher. Ryan Sands’ Youth in Decline label does some of the best work for comics out there. 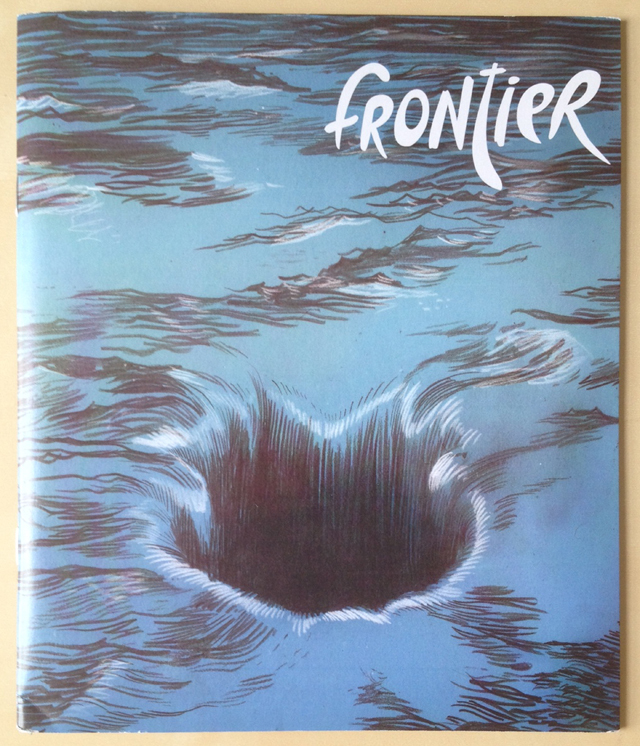 The Frontier series, which is leading the charge both in printing quality and featured artists, is only getting better as it goes on, so I was glad to finally nab the Sam Alden issue. 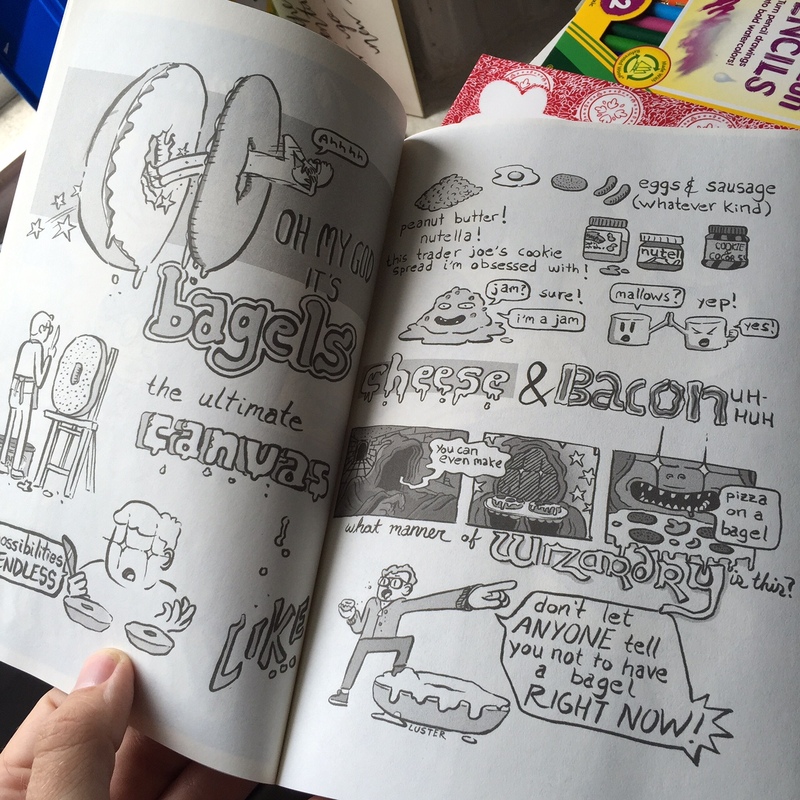 Let me pull you aside and tell you something not-so secret: Sam Alden is awesome. His pencil work first blew me away in Backyard, and I love the two-color tones in this one. 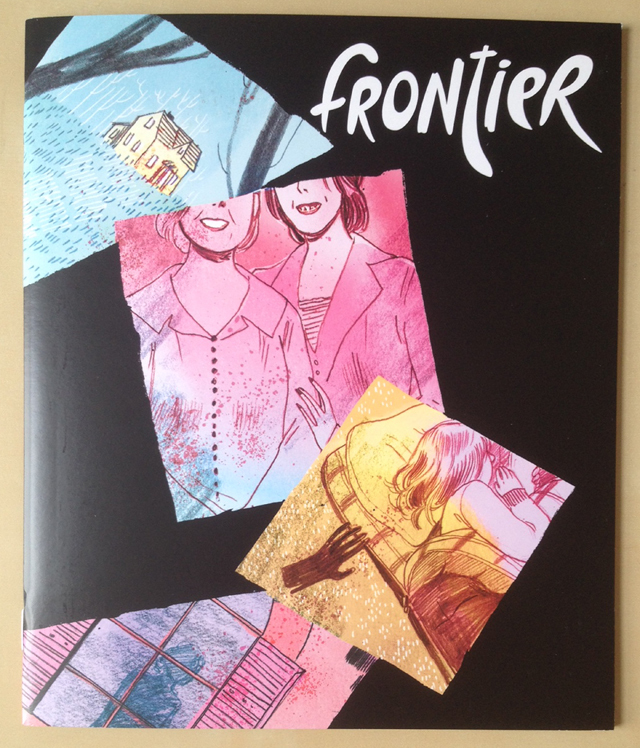 Emily Carroll‘s Through the Woods is one of the top comics of 2014, and it looks like she might have just the best issue of Frontier on top of that. I don’t know nothin’ about that myself, though, ‘cuz I haven’t read it yet. Just sayin’… it looks like it. 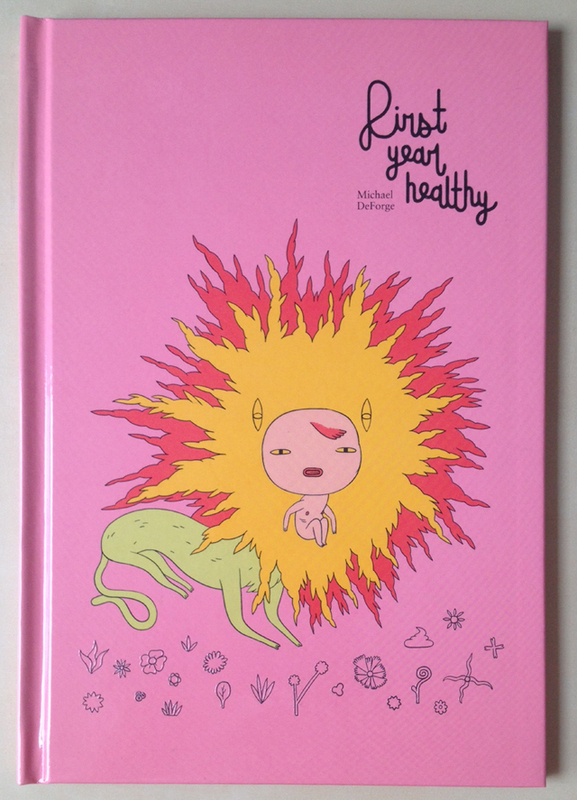 Michael DeForge is great so I try and grab everything he puts out. 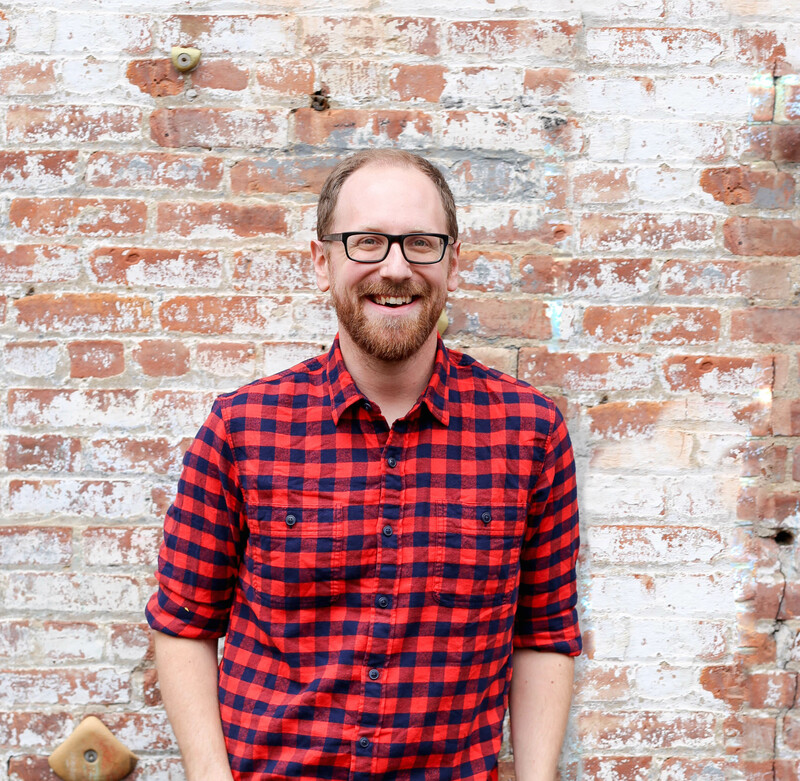 First Year Healthy is his newest book, making its debut at CAB, and it looks like another departure, if not in style than in narrative at least. I can’t wait to read it but I also really want to savor this stack of comix and not blaze through them like I normally do. ANYWAY, yeah! CAB was really cool! 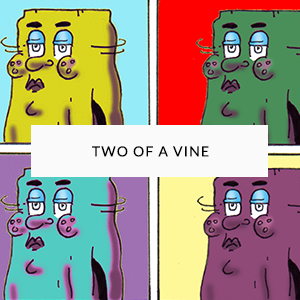 I want to have some comics of my own there in 2015!